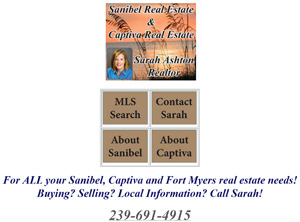 Sanibel Island Real Estate, Captiva Island Real Estate - Visit and Enjoy my Website! Visit and Enjoy my Website! SarahAshton.com - The Best Place To Start! This week I would like to point out some of the fun and useful things that you can do with my website! From interesting facts about Sanibel and Captiva Islands to informative videos of our neighborhoods and condos, this is a one-stop site for all your island questions. 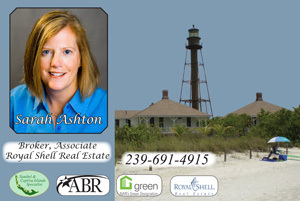 The Captiva video on the right is a great way to check out Captiva Island and what it has to offer. 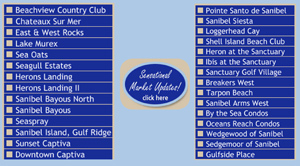 I also have a Captiva webpage, a "Downtown" Captiva webpage along with links to our restaurants and marinas! I also have a video of my Gulf front Captiva listing for you to enjoy. Captiva is world famous for its beaches, sights and quaint style and I'd love to be able to show you around! If you want to search for properties, my site has the most modern and useful search engine you will find. You can search with whatever criteria you wish, or by map (left), or subdivision or condo. It's easy to use and you can save your searches and email your results to friends and relatives. I even have a page of important numbers you might need when you decide to move to the islands. As you drive around the island checking out which areas or condos look good to you, you can use my mobile site as you travel around the island. You can search properties with your smart phone or tablet as well as learn about the area and what it has to offer. If you want to check out Sanibel before you get to the island, I have a couple of videos I made of the east end of the island. It's a great place to start! Click Here! 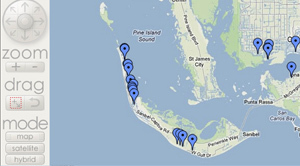 I'm also proud of a video I have of one of Sanibel Island's most popular sites - The J.N. "Ding" Darling National Wildlife Refuge. As for our local neighborhoods and condos, my condo page and neighborhood page have links to each area along with video tours of each area. This is a wonderful way to check out all the different areas of the island without leaving your home! Each area has local information, an area map and virtual tour of the neighborhood or condo! How about a visit to our lighthouse? Check out where our miles and miles of walking/bike trails lead! How about how to go "Green" or to download my Green Guide! Check out my listings along with videos! Tips for the Buyer and the Seller! And, of course, Contact Me for answers to ALL your questions! Or you can just connect with me on Facebook or Pinterest! My site has lots more to offer and please feel free to check out all my pages and links! When it's time for you to buy or sell I'll be there for you! I am a long-time island resident and I love to show off my islands! 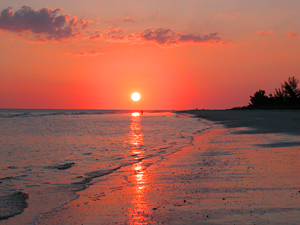 This is your year to follow your heart to Sanibel And Captiva Islands!